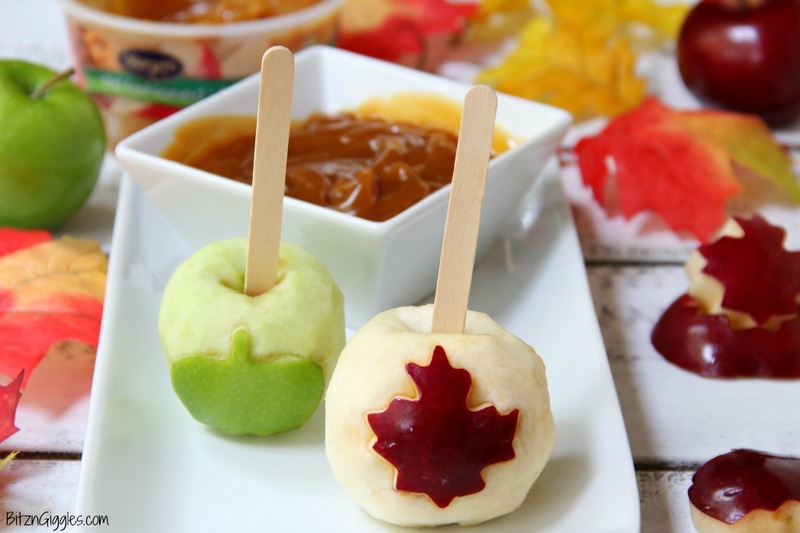 Caramel Apple Carving – Try your hand at some simple apple carving! 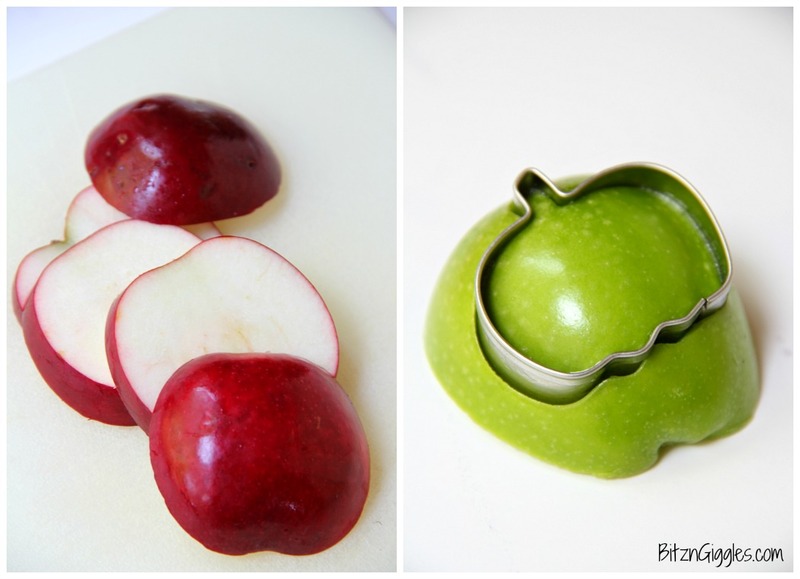 Use mini cookie cutters to create shapes for delicious dipping fun! It’s officially fall y’all! 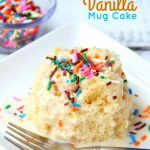 I surprised you with a pumpkin dessert this month (shocking if you’re aware of my relationship with pumpkin. . .it’s non-existent), and today you’re in for more autumn fun! I’m sure that at some point in your life you’ve carved a pumpkin for Halloween, right? 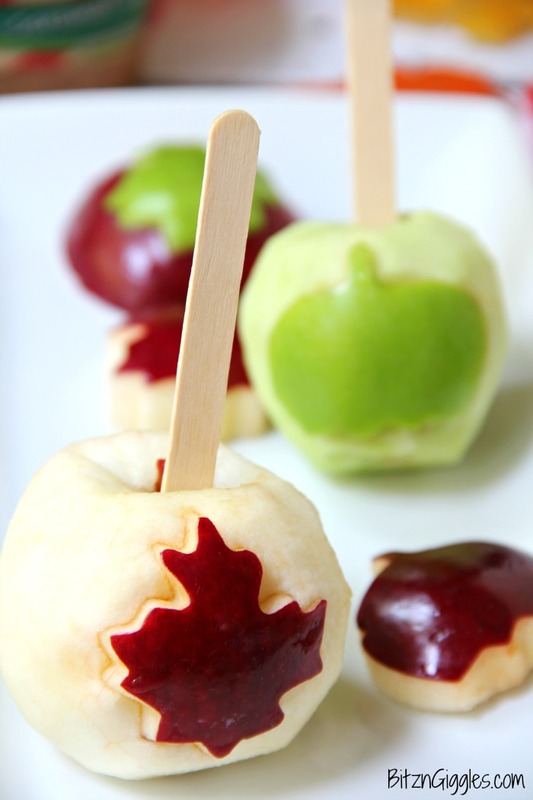 Well, today, we’re thinking a little outside of the box and we’re talking apple carving. Why would you want to carve an apple? 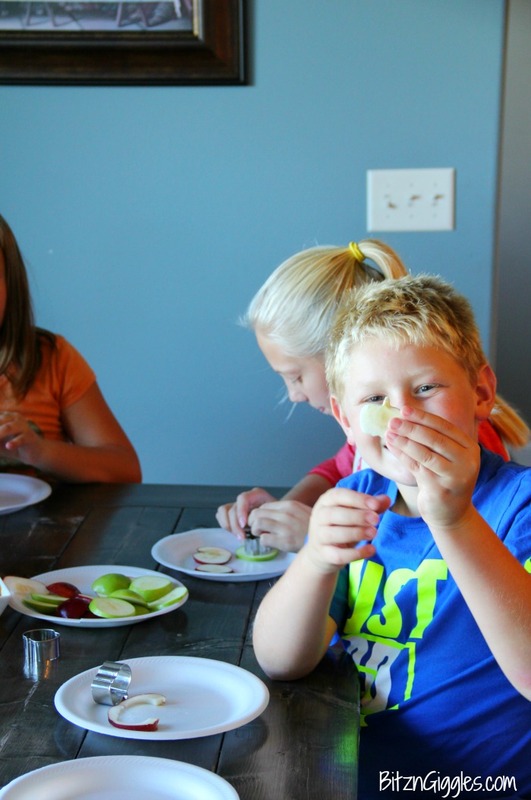 First of all, the kids will flip for it because they like to play with food, it’s a fun family activity to celebrate fall, and well, in my humble opinion, apples are just much more delicious than pumpkins. So, stick with me today as we explore some simple apple carving and if you stay until the end, I have one more surprise that I think you’ll be pretty excited about. Because the kids were helping and I am a bit of a novice myself, we kept things pretty simple and used mini cookie cutters that we pressed into the apples to make our shapes. After the kids pressed the cookie cutters into the apples, I would use the combination of a paring knife and a veggie peeler to remove the rest of the peel around the shape. To keep your apples from browning while you work, place them in an airtight ziplock bag filled with cold water. 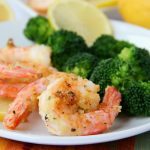 You can also add a little lemon juice if you’d like as well. Don’t the shapes look neat? We used a leaf and pumpkin cookie cutter. I also sliced the apples into thinner pieces so the family could do some cut-outs with the cookie cutters. 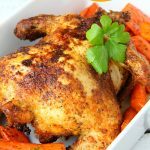 It’s a safe way to get the entire family involved! The kids loved helping with this part and adored the bite-sized pieces. More about that in a minute! 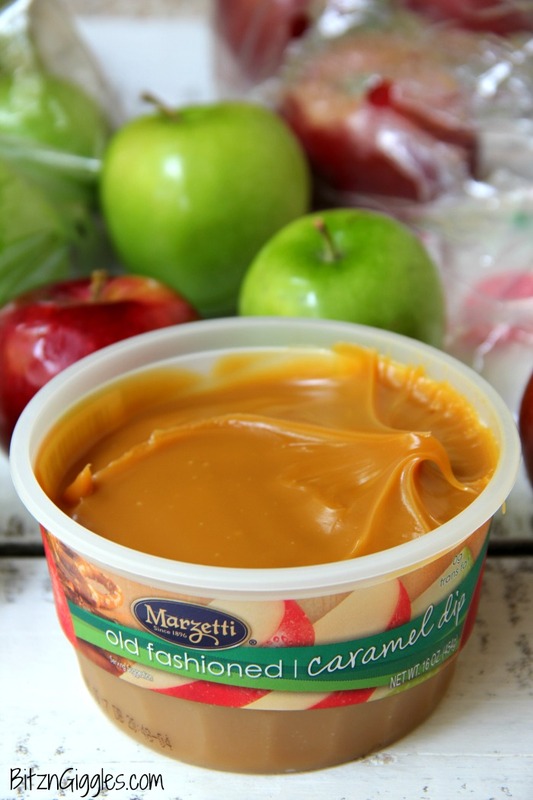 There was just one thing missing. . .Marzetti® Old Fashioned Caramel Dip. 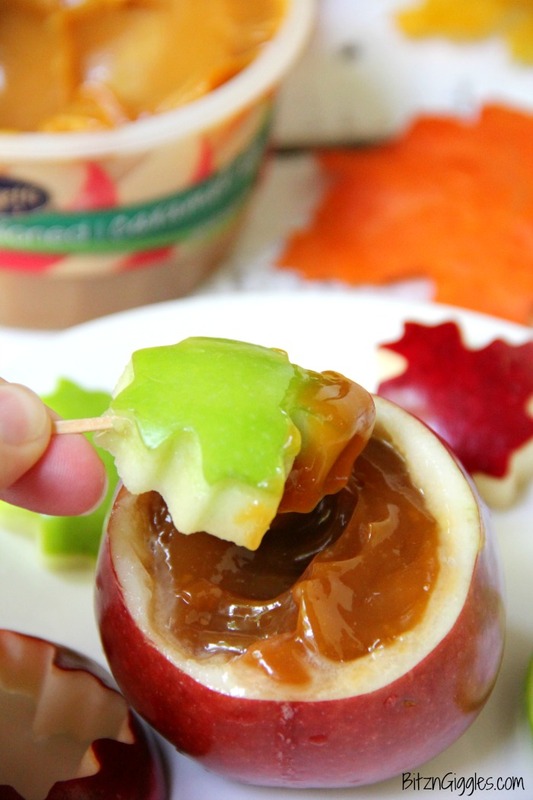 It’s really a staple in our house come fall, and there’s nothing out there that enhances the flavor of apples like Caramel Dip. A crisp, fresh apple dipped into thick, rich and creamy caramel? It really doesn’t get any better than that. It’s pretty much a marriage made in heaven, don’t you think? 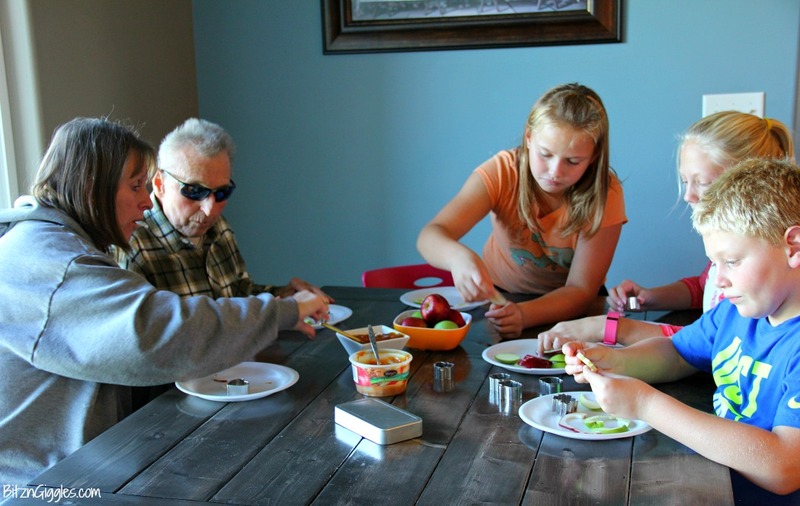 The whole family got into the apple carving and cut-outs. . .Great Grandpa, Grandma and Grandpa, the cousins. . .let’s just say that the Caramel Dip was going over VERY well. 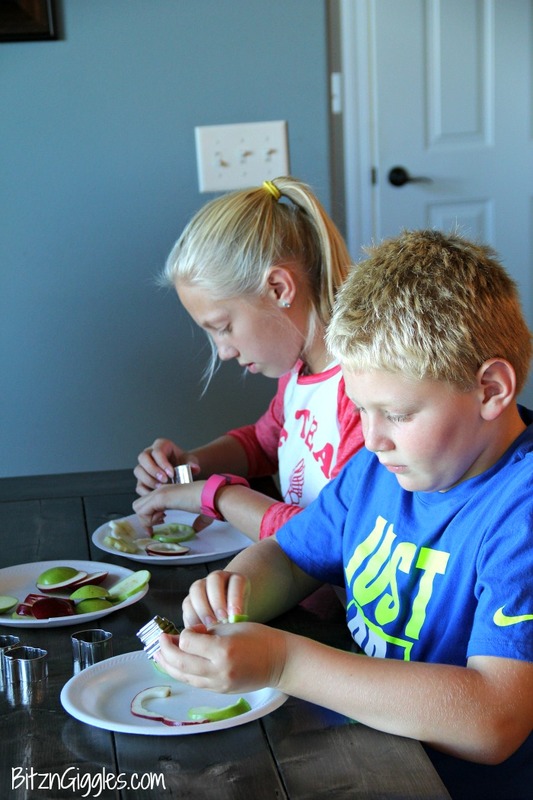 The kids took their apple carving pretty seriously. And they were pretty proud of the end result. 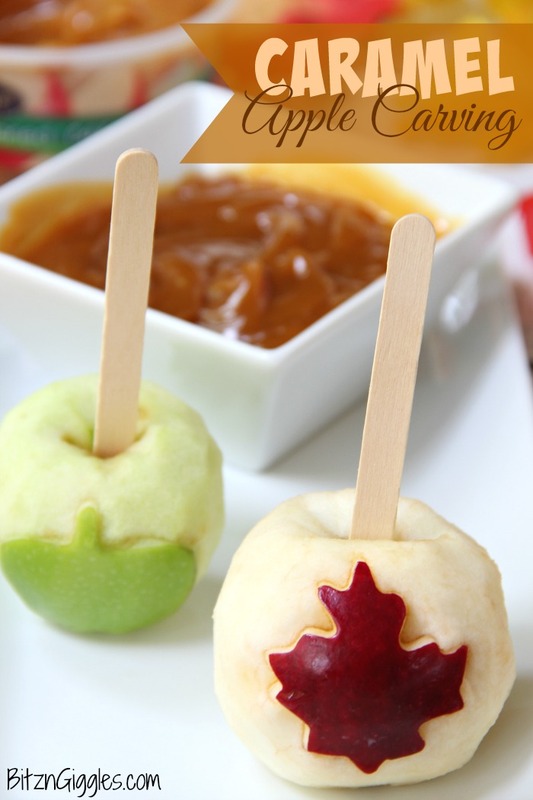 A perfect pumpkin-shaped apple to dip and eat! Man, was it delicious! 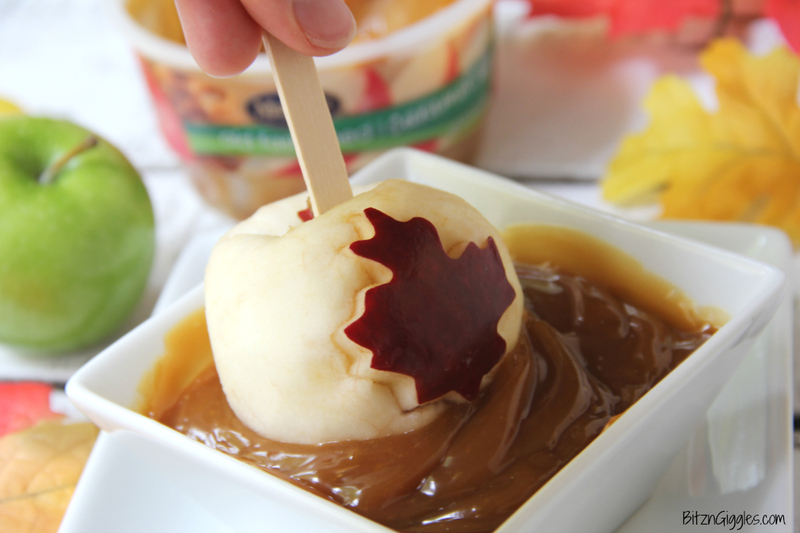 And who says you can’t just hollow out an apple and fill it Marzetti® Old Fashioned Caramel Dip? No one. No one says you can’t. No one ever. So, we did. And then we filled a larger bowl with the Caramel Dip and just kept. . .dipping. And. . .dipping. So, what do you think? 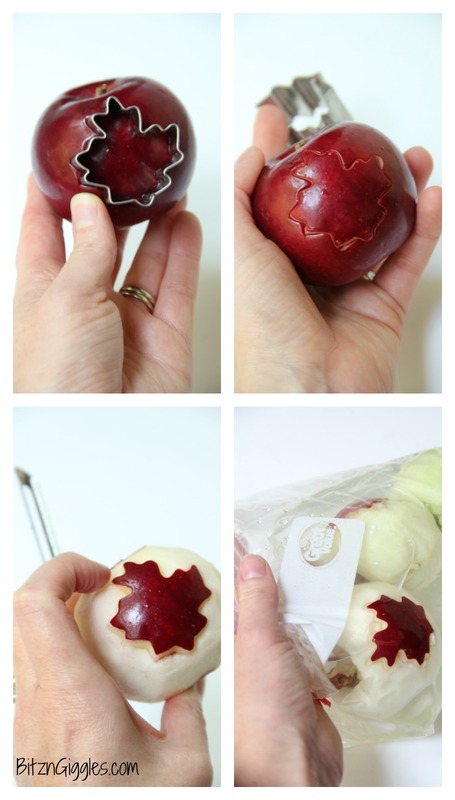 Are you going to try some apple carving this fall? Pick up some apples, get the family together and start a new tradition! Oh, and don’t forget to enter the giveaway below for a chance to win a $50 VISA gift card from our friends at Marzetti®! Pretty awesome, right? I would say that would be a great way to kick off the start of fall! Make sure you enter to win by October 31, 2016! The giveaway closes at 11:59 pm CST. 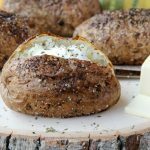 After entering the giveaway, don’t forget to check out MarzettiKitchens.com for a ton of great recipes from appetizers and salads to sandwiches and desserts! And for more fun with Marzetti®, stop by their Facebook, Pinterest and YouTube channels!